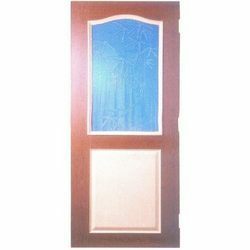 We present a broad range of Designer Double Panel doors which are designed with self locking systems and are best suitable for bureaucrat purposes. These have strengthening with greater strength, enhanced toughness and steadiness. Our collection of glass doors are offered at industry leading prices with negligible maintenance. Looking for Glass Panel Door ?